The thought of completing a home loan application may seem overwhelming, but it doesn’t have to be a stressful process. As with many things in life, a little preparation goes a long way. Home finance applications need not be a daunting thought! During the application process there are a few things you can expect to encounter. Lenders approve your mortgage based on the information provided in your application, so familiarising yourself with the information needed, requirements you need to meet and some general loan terms, can help ease the process and relieve any anxiety you may be experiencing. Lenders typically ask for as much information as possible. You will require photographic proof of identity, such as a passport or driving licence, although proof of age card may also be adequate. Secondary documentation is also likely to be needed, such as a Medicare card, rates notice or utility bills no more than three months old. It is important that you can fully illustrate your financial situation. To determine the total borrowing available, your payslips, employer references and bank statements will be important elements to include in your application. For lenders to fully establish borrowing capacity, it is important to declare anything you own. Bank statements for your savings accounts and term deposit accounts are worth bringing with you when applying. It is also imperative to establish any outstanding debt you have at the time of the loan application. Financial obligations you should consider can include other loans, credit cards and Higher Education Contribution Schemes (HECS). You must also consider all other repayments or debts you may have in the future. 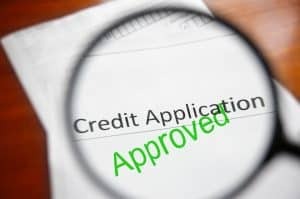 Establishing your ability to make your loan repayments, whether monthly or otherwise, is crucial to lenders when approving your mortgage application. When applying, be prepared to account for all your monthly outgoings and expenses. You should document all outgoings, whether they seem small or large. Account for rent, utility bills, phone bills, travel and living expenses. Also factor in leisure activities and expenses such as gym memberships, plus any insurance premiums you pay. Being realistic and thorough in your preparation before your home loan application will not only help your lender evaluate your situation, it will also give you a good indication of what you can realistically afford. While you may need to overcome a few obstacles in the application process, arriving prepared can make the whole process run a lot smoother, if you would like to discuss home loan application requirements further, please don’t hesitate to contact us for more information. Being well prepared is essential when applying for a home loan.